Dubai: It’s an open secret of high-income nations — and how they generate cash. It's the common denominator between Singapore, the UAE and Norway: They all have sovereign wealth funds (SWFs). US states have it, too; as does Timor Leste, a new country now aspiring to join Asean. SWFs are some of the world’s top cash generators. These state funds, managed like private investment kitty, make money on stocks, bonds, commodities and innovative companies that fire up capital markets. The Philippines, today, has that rare chance to join this SWF party. For one, it has bigger international reserves than either Canada or Australia, and almost as big as the European Central Bank's. Yet millions of people of this Asian country endure generational poverty (a family having lived in poverty, i.e. <$1.25/ day, for at least two generations). And it's not due to Filipinos' lack of character. Rather, it's simply due to a lack of cash. So it must be asked: Does the country have enough cash to create a wealth fund? The way to raise cash, it turns out, is incredibly simple — through taxes, royalties, duties, government corporations, and even the state-owned lottery system, like Pagcor. The country has all the money it needs. The problem is not money, or lack of it, but what it's doing with the money. Putting its excess cash to efficient use needs a strong will and "buy-in" from leaders and all Kabayans (Filipinos) alike. We'll point out where surplus cash comes from (see the "Plans" below). But here's one quick point: Putting the country's cash surplus to good use is the ultimate strategic move any nation can make. To wait any longer is just criminal. But doing right thing about the people's money needs boldness, and good upbringing. With a professionally-run state wealth fund, the Philippines could potentially crush the most persistent poverty in South-East Asia. But this is a trillion times easier said than done. 1. What's a Sovereign Wealth Fund (SWF)? It is a state-owned money pool invested like a private fund directly in various assets — stocks, bonds, commercial debts, real estate, infrastructure, precious metals and other "vehicles". Established by law, SWFs are run by professional managers who invest and grow the chunks of assets assigned to them the way private fund managers do. It's a bit like money farming, fertilised by efficiency gains from the global capitalist order. The pooled funds typically come from a nation's budget surplus, savings or mineral resources. 2. What are the benefits of having it? The oldest fund, established in 1854, is the Texas Permanent School Fund, with current assets estimated at $37.7 billion. One of the newest funds is the Timor Leste Petroleum Fund, established in 2005, with assets worth about $16.6 billion. 4. What's the size of SWFs' assets? In 2012, there are more than 50 sovereign wealth funds, and according to the SWF Institute, with assets exceeding north of $5 trillion. Norway, alone, has SWF assets exceeding $1 trillion, managed by the Norges Bank Investment Management (NBIM). Today, cummulative assets of SWFs are worth $8.14 trillion today, according to the Sovereign Wealth Fund Institute. 5. Why create an SWF? Motives vary from country to country. Most Gulf countries set aside a portion of their surplus from petroleum trade in such funds. Many states use SWFs — Singapore has two — as a way to generate profits for the citzens' benefit. In some cases, sovereign wealth funds invest directly in domestic industries. Most funds invest in the world’s top, or "blue-chip", companies — tech firms such as Apple, Microsoft and Google, or disruptors like Tesla and biotech-DNA sequencing companies like Illumina or Thermo Fisher Scientific. In general, risks are mitigated through diversification. 6. Can Bangko Sentral ng Pilipinas (BSP) be considered an SWF? No. It's a state-owned and state-guaranteed entity created to implement the country's monetary policy, and use different levers to maintain price stability. Some central banks, however, behave like SWFs, when they are mandated by law to do so. The Philippines' BSP, reconstituted in 1993 under Republic Act 7653, is not mandated to function as an SWF, though it is awash with enough cash to do so. value of gross international reserves (including foreign currency deposits, bonds, gold) held by the Bangko Sentral ng Pilipinas, as of January 2019. 7. Why is there no wealth fund in the Philippines? It takes legislation. An act of Congress, or an Executive Order (EO) would enable the creation of one, or several, SWFs. The Filipino people, through its leaders, must "buy-in" to this idea. Currently, there's a bill pending in the Senate proposing the creation of a Philippine SWF. Filed on May 16, 2018, it is currently gathering dust at the Senate committee level. The bill is called “An Act Establishing a Philippine Sovereign Wealth Fund, Providing for the Management, Investment, and Use of Proceeds of Its Assets, Appropriating Funds Therefore and Other Purposes." Out of the 24 Senators, 12 senatorial seats will be contested in the May elections, while all seats in the House of Representatives are open. Following the elections, the SWF bill must be refiled in both houses. 8-A. What if the bill is not re-filed? If no legislator re-files or sponsors it in both houses, the idea of a Philippine SWF will die a natural death. Alternatively, President Rodrigo Duterte can sign an Executive Order (EO) creating a Philippine Sovereign Fund, much like the way the "Freedom of Information (FOI) program" was created — through Executive Order No. 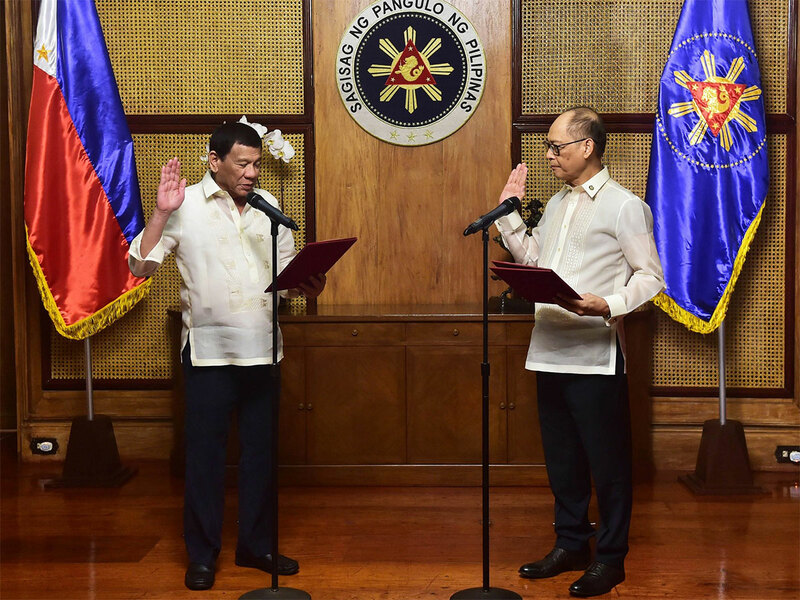 2, which President Duterte signed on July 23, 2016, a few days after he became president. income (equivalent to Dh84.1 billion or Php1.19 trillion) reportedly made by Singapore's Temasek sovereign wealth fund (SWF) in just 12 months in 2017. 8-B. Does the Philippines ever post a surplus? Yes. On at least two fronts. The country’s mineral wealth (gold, copper, iron ore, chromite, gold, zinc and — most important — nickel). There are at least 27 nickel mining sites in the Philippines. Nickel is the petroleum of the battery EV era. The Philippine exports an average of Php2 billion worth of nickel is exported (declared to government by miners) each month, mostly to other Asian countries. Mixed nickel-cobalt sulfide earns another Php2 billion a month. Copper concentrate is another Php2 billion a month while gold is about Php3.66 billion a month. Yet only miners make money from this national patrimony. These are God’s gift to Filipinos. They were formed over millions of years, yet being exploited quickly by this generation. The state, i.e. Filipino people, who by definition own the wealth of the land, only get 4% mining royalties under TRAIN law, from such Divine provision. Then millions of Kabayans live off less than $1.25 a day. At least 13.7 million Filipino children are undernourished, according to a government report. For such a well-endowed land, this is absurd. It’s not funny. At least Php975 billion (about $19 billion) was left unspent in the first two years of President Duterte. President Aquino was also known for "underspending". This shows governments past and present faced the same problem: they are swimming in cash they cannot spend. It's a sign of the times: there's surprlus! In 2016, official government records show Php596.7 billion in government budget was unspent. It was Php388.4 billion in 2017, or a total of Php975 billion over two years. Aquino time was no worse. But having surplus is a good thing, if it's put to good use. amount (equivalent to $19 billion) left unspent by government agencies in the first two years of President Duterte. So the question must be asked: Where do these surplus funds go? It should be criminal if the people have no clarity on this. 9. How can the Philippines raise money for its own SWF? Many would disagree with this point. They'd argue, for example, that the country runs budget deficits year after year. Yet, this is not entirely true. As pointed above, the state posts excess, unspent funds to the tune of hundreds of billions every budget year. More to it, the country highly mineralised — with base and precious metals — yet in reality control and ownership over these resources are left to miners, not the state. Plan A: Mineral resources. Think about all the gold, copper, gas, and other mineral resources the country is blessed with. On paper, under the Mining Act of 1995 (RA 7942), the Filipino people own the wealth of the land. In reality, miners get exclusive domain over mineral extraction, giving only a 2% royalty and leaving behind toxic waste. Royalties had been raised to 4% under the new TRAIN Law. But that's still ridiculously now. These mineral resources are finite. A fund will guarantee that future generations of Filipinos, not just the present, will also benefit, especially after the minerals (which took millions of years to form) run out. While the Philippines is a highly mineralized country, Singapore does not have any: It even imports water from Malaysia. Yet Singapore, through Temasek, built several of the world's biggest SWFs. In 2017, Temasek reportedly made $22.9 billion in just 12 months (Dh84.1 billion or Php1.19 trillion). Singapore is only one-fifth the size of the Masbate island, which has awesome waterfalls and a gold mine covering 52 km2. There are at least 15 gold- and copper-rich provinces in the Philippines. Plan B: Stolen wealth. Assets recovered from stolen wealth could be used to start a Philippine SWF. Billions of dollars were looted, deposited under assumed identity, in the past. Some of the loot had been returned, though a big part is still reportedly unaccounted for. As recently as November 2018, looters had been convicted in an anti-graft court, but their smart lawyers are simply good at stalling the imposition of penalties. The abundance of fake news and social media posts is now reversing, or erasing, the history of massive, systematic plunder. Plan C. Philippine Charity Sweepstakes Office (PCSO). This government-owned national gaming entity runs surpluses every year. One published report states that PCSO had Php5.07 billion in "unutilised funds" as of December 31, 2017, out of retail receipts of Php53 billion (about $1 billion) for the year. Plan D: 'Priority Development Assistance Fund (PDAF)', also known as "pork barrel", is allocated by Philippine legislators to themselves each year. 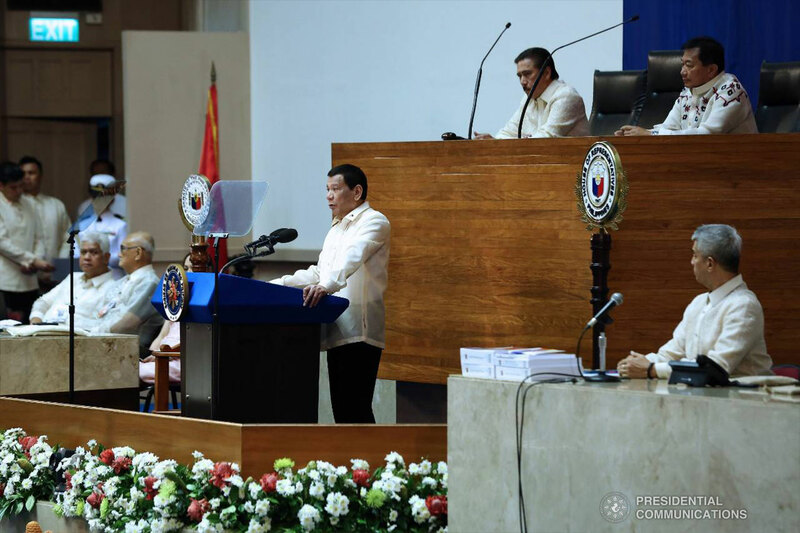 In the Php3.757-trillion national budget for 2019, a Php98.7-billion discretionary fund for the country's lawmakers had been "inserted". That's $1.86 billion. Even if half of these insertions are channeled to build a Philippines SWF, that's a substantial amount. Plan E: "BBB". There's a 9 trillion-peso ($171 billion) spending warchest the Duterte government has earmarked for a massive infrastructure build-up, under the "Build-Build-Build" (BBB) program. Much of it funded by taxes, and Treasury bond issues. It just means the Filipino taxpayers are paying for it. Even if just an equivalent of 10 per cent of BBB funds go into the Philippines SWF, this would be equivalent to about $17 billion. Plan F: Bangko Sentral ng Pilipinas. The BSP, the country’s central bank, holds $82.13 billion (as of January 2019) in gross international reserves (GIR). A nation’s GIRs are “liquid assets” used by the central monetary authority as a "tool" to stabilise prices, currency exchange rates and making foreign exchange available to pay for import. For years, BSP officials had toyed around with the idea of creating a Philippine wealth fund. But they need a legal framework before making any move. 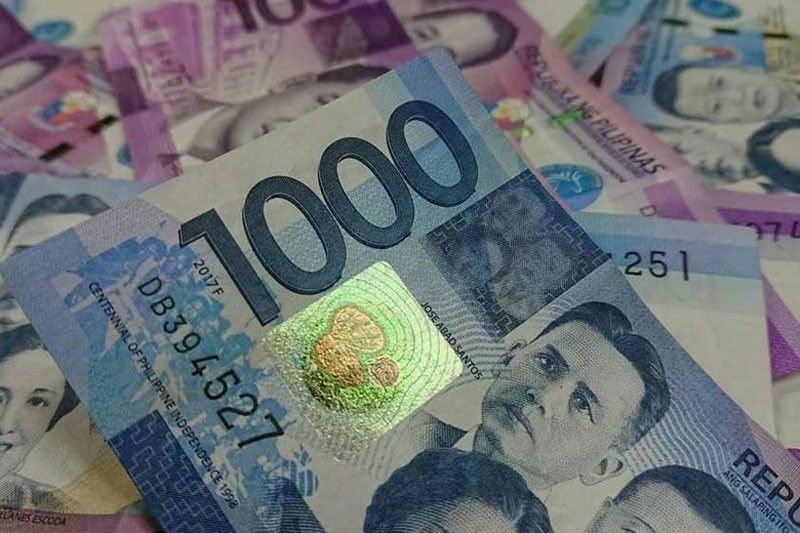 Even if the equivalent of 10 per cent of this GIR managed by the BSP is earmarked to start a Philippine SWF, it won't disrupt the country's forex position vis-a-vis imports. Gross international reserves of the Bangko Sentral ng Pilipinas, as of end-January 2019. Plan G: Unspent budget. Many Philippines government agencies are notorious for "underspending", meaning they ran budget surpluses, year after year, especially during President Benigno Aquino III's administration. Under President Duterte, underspending remained. There's a claim “underspending” has improved as bannered by then-Budget Secretary Benjamin Diokno (now BSP governor). Plan H. Taxes / Bonds. Treasury bonds may also be issued to jump-start a Philippine SWF. This could be in the form of retail Treasury bonds, a highly sought-after way of raising cash to fund government spending. Should be the last option, really. The above options show there's no shortage of cash to create a state-owned wealth fund for the Philippines. 10. How big are SWF assets? Globally, there are about $8 trillion owned or controlled by SWFs, according to the SWF Institute. Funds and assets under the control of the world's sovereign wealth funds. 11. Where can a Philippine wealth fund invest? There are many options: Stocks, corporate bonds, properties, tech companies and innovators, precious minerals. Fort Bonifacio is a state-owned property development in the suburb of Manila. 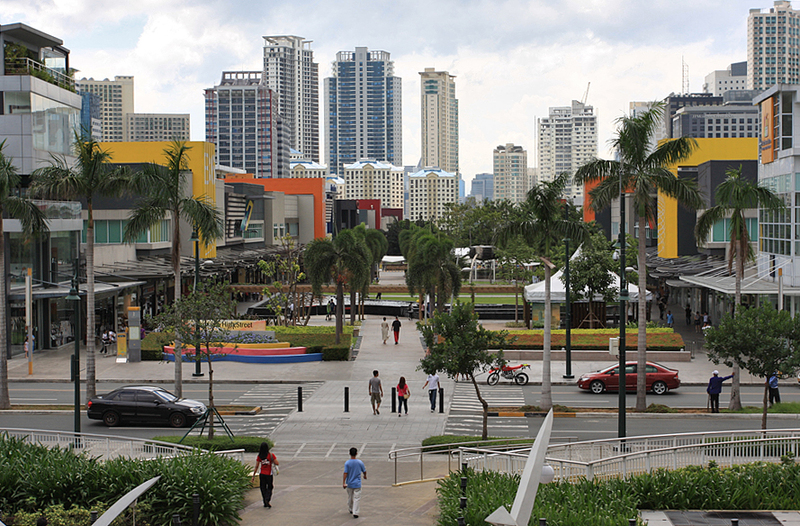 Bonifacio High Street, the central retail and entertainment hub of Bonifacio Global City, is built on a former military camp. 12. Who will manage the Philippine wealth fund? The most logical manager is the Bangko Sentral ng Pilipinas (BSP). The fund may employ international fund managers. Globally, there are 400 asset managers with 10 years of reported assets growth. In terms of the enabling law, it may prescribe the selection of fund managers only from among the top performers. 13. What safeguards are needed to preserve, grow the fund? Easy. Smack down thieves — no matter their family name — with deterrent penalties. Transparency is the key. The experience of wealthy countries show it is possible to preserve a wealth fund, virtually in perpetuity. Sufficient safeguards are necessry to guard against oligarchic plunder. This, alone, would do a lot of good to end generational poverty in the country. One safeguard may take the form of legislative "oversight" (i.e. House and Senate) to ensure no pilferage happens, and earnings are used for the intended beneficiaries. The SWF law or Executive Order, can set clear rules on how the fund should be run and the limits on how much of it earnings (5%?) may be spent. 14. Who can benefit from the fund's earnings? One obvious beneficiary would be the "4Ps" programme. This is a highly successful hunger-buster for the "poorest of the poor" — 4.1 million indigent Filipinos currently fall under 4Ps. Under 4Ps, Filipino household beneficiaries receive 500 pesos ($10 USD) per month and 300 pesos ($5 USD) per child each month for the duration of the academic year. It's not a dole out, but conditional cash that gives poor families a compelling incentive to keep their children in school. The result: High school graduates, in general, get a better shot at life than leavers. Moreover, there are 3.11 million indigent Filipino seniors (2018 budget: Php13.9 billion, $263.16m), while 1.5 million children are under the Supplementary Feeding Programme (2018 budget: Php3.15 billion, $59.6m). 15. How much money does a sovereign wealth fund make? This is the most interesting — and fascinating — part. Many SWFs posted an average of 7 to 8 per cent per year over a 20-year period. Following the simple "Rule of 72" formula, it means assets could double after about 9 years. Say, for example, a Philippine-owned wealth fund accumulates $100 billion in assets, earning 8 per cent annually, that's equivalent to $8 billion (about Php471.5 billion) in cash flow every year. There will be years, when markets are down, that the fund won't make any money. But over the long-term, decent returns can be realised. Statistically, stock investments face nearly zero risks over a 20-year period. Treasury bonds have zero risk, even over a shorter term. They key is professional management, of which there's an abundance, even within the Philippines. 16. What can you do with Php471.5 billion each year? Much. It's an great problem to have. When put to good use, a fully-grown Philippine-owned wealth fund could end absolute poverty in the Philippines within 10 years. 17. What are the threats to a wealth fund? 18. As a Filipino, what can I do? Let's learn more about it. "Lobby". Correct this article for inaccuracies. Let your voice be heard. Write, email, FB, message, tweet, chat up your Congressman, Senator, the Office of the President, BSP central bank goveror to support moves creating an SWF for the Philippines. Please consider linking or sharing this on your social post. Do give feedback in the comments, and would love to get corrections for this article for any snafus. It's down to you, who belong to the present and future generation of Filipinos, to do the right thing.